FRE Auction Event #9022: KBS Real Estate Investment Trust II, Inc.
KBS Real Estate Investment Trust II, Inc. uses a “hybrid” real estate investment strategy by acting as both an owner of real property and as a lender. It acquired a diversified blend of Class A office and industrial properties in major metropolitan markets, as well as real estate-related loans. The strategy of KBS REIT II is intended to provide increased risk management as well as broad portfolio diversification by property type, geographical region, investment size, and investment risk. The REIT’s portfolio consists primarily of core real estate assets and strategic debt investments. The majority of its portfolio is allocated to investments in core properties (see below), and the remaining portion of the portfolio to real estate-related investments such as mortgage, mezzanine, bridge and other loans; debt and derivative securities related to real estate assets, including mortgage-backed securities; and the equity securities of other REITs and real estate companies. •	Industrial properties — warehouse and distribution facilities, office/warehouse flex properties and light industrial properties. There are no auctions at this time. 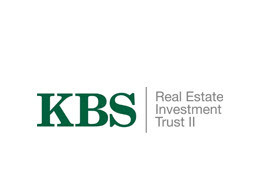 We anticipate auctions of KBS Real Estate Investment Trust II, Inc. soon. Click HERE to see our current non-traded REIT auctions. Click here if you are interested in selling shares of KBS Real Estate Investment Trust II, Inc. to learn about our auction services.